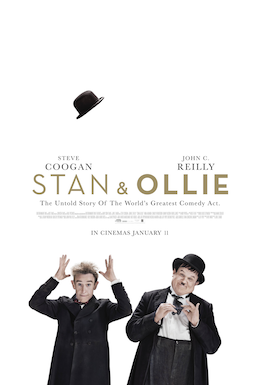 The recent release of critically acclaimed film Stan & Ollie has reacquainted the British public with the most famous double act of all time. However, few realise the massive influence Laurel and Hardy has had on TV comedy today. Steve Coogan – BAFTA-nominated for his portrayal of Stan Laurel – is one of a high profile Laurel and Hardy fanclub. It includes: Richard Wilson, Stephen Merchant, Andrew Sachs, Ardal O’Hanlon, Jennifer Saunders, Paul Whitehouse, Vic Reeves, John Cleese and Barry Cryer, to name just some. Oliver Hardy, the pompous oaf who believes he deserves better, is the forerunner of a great British sitcom archetype exemplified by Tony Hancock, Captain Mainwaring, Basil Fawlty, David Brent and Father Ted. And Stan, his hapless but faithful sidekick, has also got many comedy descendants: Sid James, Corporal Jones, Manuel, Gareth Keenan and Father Dougal Maguire. 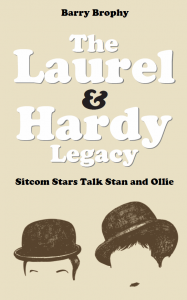 This book, The Laurel and Hardy Legacy – Sitcom Stars Talk Stan and Ollie, features a series of exclusive interviews with stars and writers of modern sitcom on the influence of Laurel and Hardy. Contributors such as Andrew Sachs, Bruce Forsyth, Graham Linehan, Stephen Merchant, Richard Wilson, Tony Robinson, Ray Galton and Alan Simpson reflect on what made Laurel and Hardy so funny, and discuss how this is mirrored in the iconic sitcoms in which they featured. Laurel and Hardy had all the elements of sitcom – story, character, supporting roles, reactions, editing – in place decades before modern sitcom was born on TV in the 1960s. The stars and writers of those sitcoms explain how.